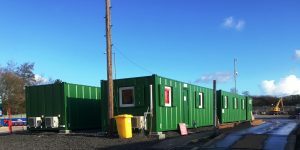 At Excel Modular, our range of high specification, anti vandal cabins in Hull and across East Yorkshire provide the very best vandal-resistant, temporary site accommodation for use on unsecured sites. As members of Constructionline and possessing the associated Acclaim Accreditation for health and safety, our site teams all have CSCS Accreditation. Along with this, all of our managers are NEBOSH certified, so you can rest assured that when you deal with the team here at Excel Modular, you’re guaranteed a highly professional service to go along with our high-quality, anti-vandal buildings. Our anti-vandal buildings have an all-steel construction with heavy-duty doors and window shutters, ensuring that all office equipment and tools will remain safe and sound, even on unsecured sites. With a quality, anti-vandal building from Excel Modular, there’s no reason to worry about thieves or vandals sabotaging your site. Our anti vandal cabins have a proven track record of deterring and preventing theft and vandalism at many sites across East Yorkshire and Hull. You can also view our projects page to see some of the previous successes we have had with our range of anti-vandal buildings. Excel Modular is proud to possess some of the very best anti vandal cabins for sale and for hire in the local area. In addition to the high-quality, anti-vandal buildings we provide, we pride ourselves on our extremely friendly customer service, with a team of staff who are committed to exceeding your expectations at all times. We can provide you with one of our standard range of anti vandal units or you may require an anti vandal office that’s more customised to your needs. Compliance with Building Regulations required on site – No problem, we will manufacture to your specific requirements, we understand every site is different. 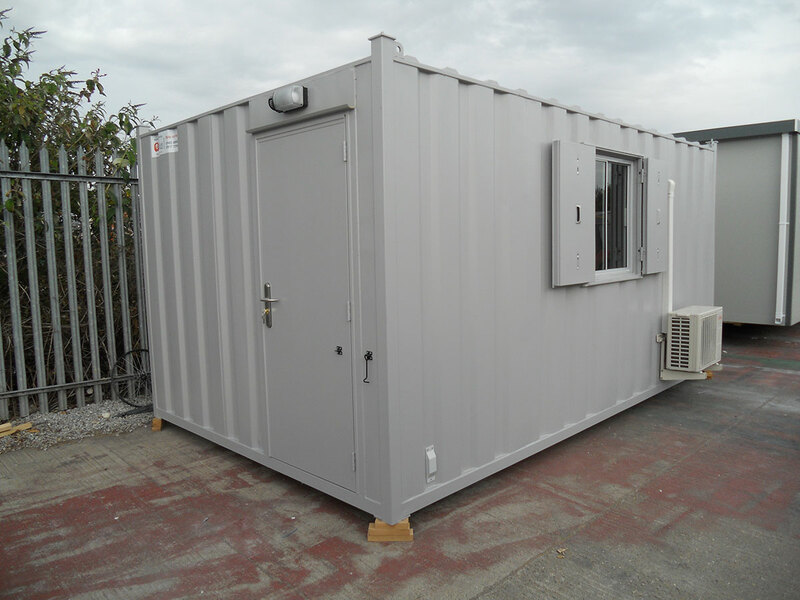 As one of the most trusted suppliers of portable and modular buildings in the local area, Excel Modular are able to source and supply a variety of anti vandal cabins in Hull and the surrounding area. We have a selection of anti-vandal building lengths available, including 12′, 16′, 24′ and 32′ cabins, as well as widths of 8′, 9′ and 10′ on offer. Excel Modular have a whole host of high-quality, effective anti-vandal buildings for sale, which can be implemented to your site with absolute ease. No matter what your particular specifications may be, we are confident that we can help you to find the right anti-vandal cabin to suit your needs. At Excel Modular, we pride ourselves on providing you with cost effective anti-vandal buildings across Hull and the surrounding area. If you are looking for an improved security system for your site, we can provide you with the perfect solution with a whole host of anti vandal cabins available to suit your specific requirements. Whether you are looking to buy or hire anti vandal cabins, be sure to get in touch with our friendly and knowledgeable team today to find out how we can help you. You can contact us directly regarding anti-vandal buildings by calling us on 01482 488 664, or you can let us know your requirements by filling out our online contact form, and a member of our knowledgeable team will be happy to assist you.